Dr. Hiland started with our practice as a veterinary assistant in 1996. She worked through high school and on breaks during college, rotating between our hospitals. After finishing her undergraduate work at The University of Georgia, she attended veterinary school at St. George’s University in Grenada, West Indies. Dr. Hiland started as a veterinarian here in June of 2007. Since then, she has worked between all four hospitals. She has two Bernese Mountain Dogs named Sophia and Chidi and two cats named Elena and Naomi. In her free time Dr. Hiland enjoys spending time with her children and traveling. In addition to interests in general surgery and medicine, she is certified in animal chiropractic care. Dr. Farrar joined our team in May 2018. 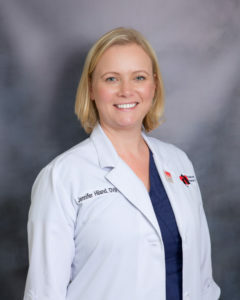 Dr. Farrar earned both her undergraduate degree (2012) and veterinary degree (2016) from The University of Georgia (Go Dawgs!). Her special interests include animal behavior, nutrition and feline medicine. At home Dr. Farrar has cats named Binx and Jarvis and a Labrador Retriever named Zoe. In her spare time, she enjoys spending time fishing, hiking, teaching her dog new tricks, and catching up on Marvel television series and action movies. Dr. 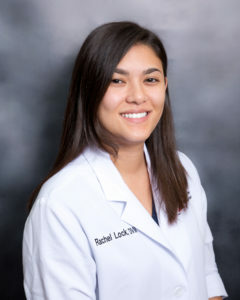 Lock is a double dawg who earned both her undergraduate and Doctor of Veterinary Medicine (DVM) degrees from the University of Georgia. 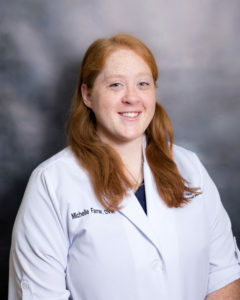 She graduated from veterinary school in 2018 and immediately joined our team here at Trickum Ridge. Her special interests include dermatology, surgery, and exotic companion animal medicine, with pet rats being her absolute favorite. She is married and has 2 hyperactive dogs, May and Summer. Dr. Lock loves traveling abroad, hiking, and camping with her family, and you may find her playing video games or board games with her friends after work. Dr. Handley currently shares her time between here and our Waleska practice. Dr. Handley worked as a Veterinary Technician Assistant for over 7 years before attending veterinary school. She earned her undergraduate degree at Kennesaw State University and attended the Royal Veterinary College in London, UK for her veterinary degree and is a Member of the Royal College of Veterinary Surgeons (MRCVS). Dr. Handley is a Georgia native and is happy to be able to practice medicine in her home state. During veterinary school she attended placements with farm animal practices throughout the English countryside, as well as a stint with Her Majesty’s Household Cavalry Mounted Regiment. These opportunities allowed her passion for large animal medicine to grow alongside her longstanding love for companion animal medicine. 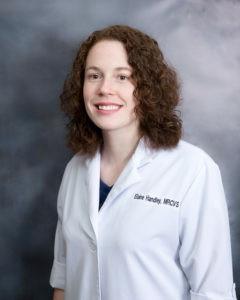 In her free time, Dr. Handley enjoys furthering her riding lessons she started in England, going on hikes with her little sister, fishing with her dad, and cheering on her favorite sports teams with friends and family.